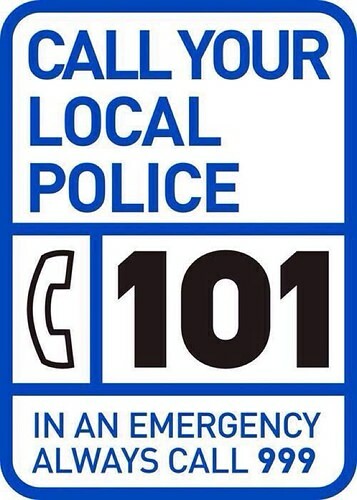 Overnight crimes: No robberies or burglaries reported to us last night on Perry Vale ward. Be aware of your surroundings and make sure you lock up tonight! Excellent, thanks Sgt Biddle. Nice to know you're keeping us informed! I'd like to second that - it's reassuring to see community involvement from our local police officers. 2 assaults. Our specialist schools officer is dealing with both and suspects have been or will be identified. No burglaries or robberies reported. Will this be a daily update and how about other Wards? Overnight update (7th - 8th Dec ‘17). No reported burglaries or robberies on Perry Vale ward. What is the news from other Wards Please? 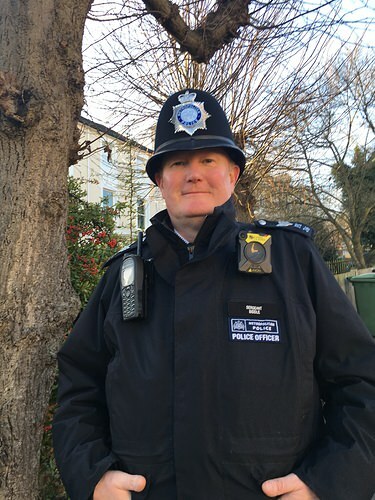 Hi, I am the Sgt for Forest Hill, Perry Vale & Crofton Park Wards. This started as updates re a spike in robberies in Perry Vale. I’ll see what I can do re the others. This post was last modified: 09-12-2017 09:13 AM by SgtBiddle. Perry Vale: one reported. Theft of a red VW Minibus index C697PMX from Brampton Road. No robberies or burglaries reported. Crofton Park: four various reported inc a burglary in Grierson Rd. No suspect details. Forest Hill four various reports inc a burglary at the cafe in the park on Sydenham Rise. One male arrested in the act of breaking in by Lewisham officers. Enqs ongoing. At 6am this morning we responded to local residents concerns about drug dealing and ASB by executing a drugs warrant in Stanstead Rd. Seven people were arrested and are currently at Lewisham Police Station being interviewed. Believed heroin, crack cocaine and cannabis were recovered - as well as a large quantity of cash and a stolen motor scooter. Thanks to them from me AND thanks for the community support we know we have! Not bad for a team 2 PCs & 1 PCSO per ward! And PCGillian even managed to sneak a quick arrest in yesterday of someone wanted for various offences and who was being recalled to prison! So a busy day yesterday: 2 x people charged with possession of drugs following our warrant in Manor Mount on the 24th November. Both to court on the 2nd Jan 18. 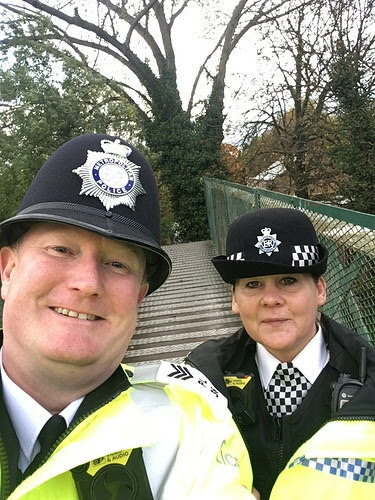 Lots of foot patrol in both Forest Hill & Perry Vale. He’s also been warned not to beg on numerous occasions. He is also NOT homeless and has access to free food. I was approached by a few concerned citizens asking why I’d arrested a beggar. I told them that it’s a Perry Vale Ward priority and did point out that the chap had actually been warned on numerous occasions to stop. I know it’s not the biggest crime in the world but there does come a time for enforcement. PC Kate and PC Richard have arrested a man for being wanted for assault and breach of a court order. He will be going to court tomorrow. I have heard the same speech by the same homeless person several times on the train home. 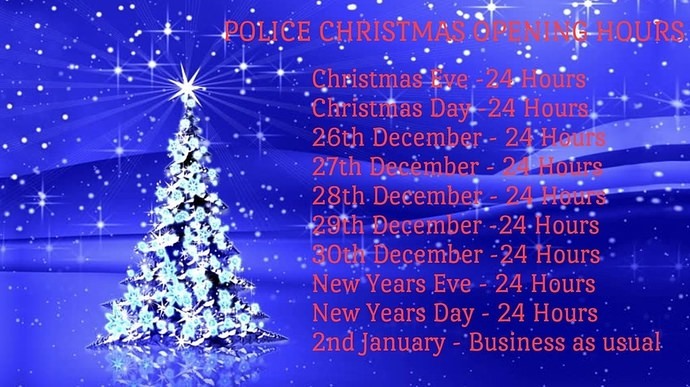 I’m in on Christmas Eve with PCMick & PCSOAndrea - we’ll be at St George’s in the morning - then I’m off to Blackheath to manage their Christmas parade. 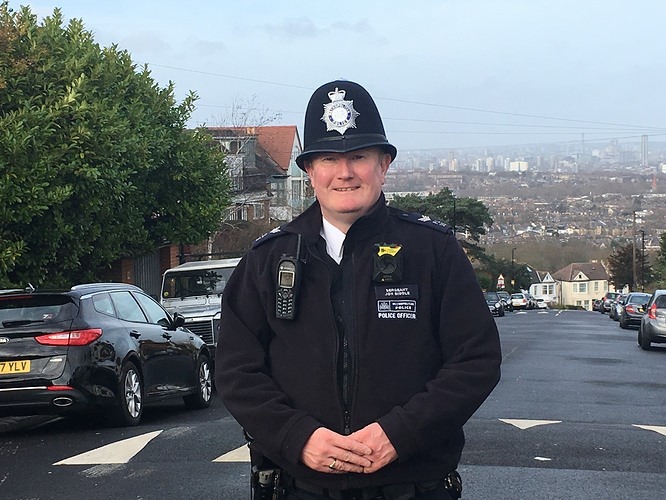 I’ve been out today with PCSOAndrea in Forest Hill and Perry Vale speaking to two residents of the Cannonby Road area who have been unfortunate victims of burglary over the past few days. Entry to both premises was via a rear door or window. In one case tools from a shed were used to smash the patio door glass. I would ask that you check your gardens security and think about outside lighting etc. I also visited the Church Vale flats where we’ve had complaints of drug taking and general ASB by youths in the stairwell. I’ve tasked my team to visit the block as often as possible when on duty as this behaviour is really impacting on local residents there. Just for the record it's Canonbie Road not Cannonby Road. It's in the detail. ps. well done from what was a quick response. This post was last modified: 31-12-2017 12:30 AM by samuelsen.